This is another outfit I wore earlier in the summer but feels distinctly fall to me. 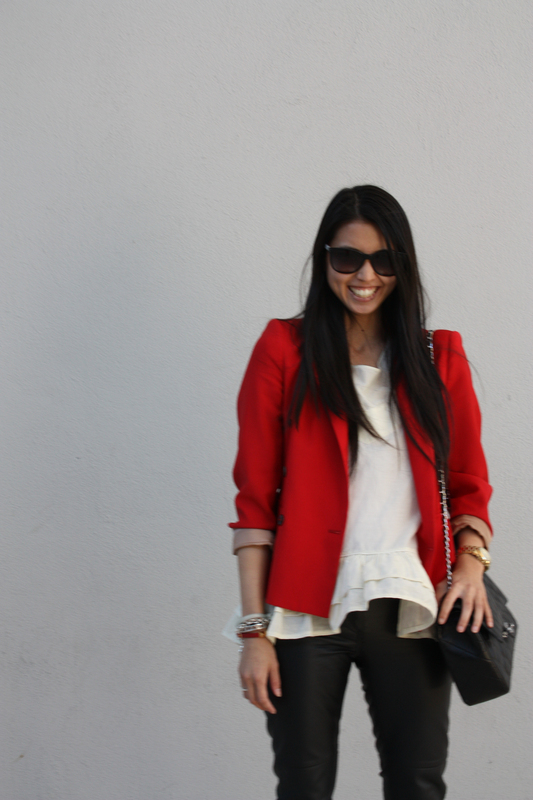 Red, white and black are one of my new favorite fall color combos, one that’s classic and hard to go wrong with. 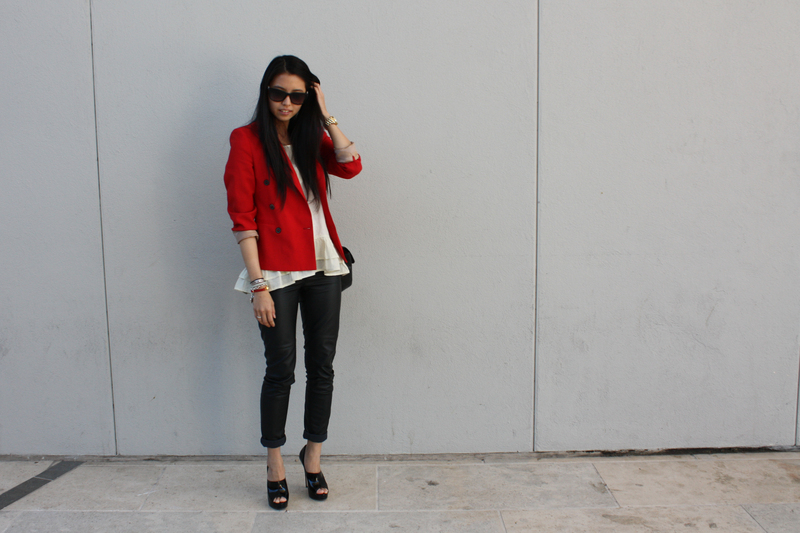 Red was a huge color last fall and it’s back even stronger for this upcoming season. 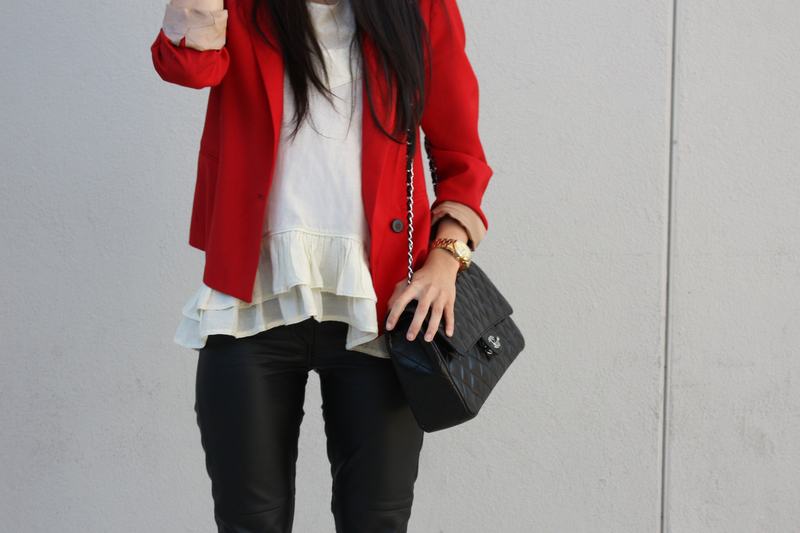 I’ve been dreaming about the color, especially red coats, and am in love with this one from J. Crew. It also pairs wonderfully with camel and khaki, so it layers perfectly with a wool camel coat or khaki trench.